You heard me right. Whisky. Gravlax. So here’s the deal. 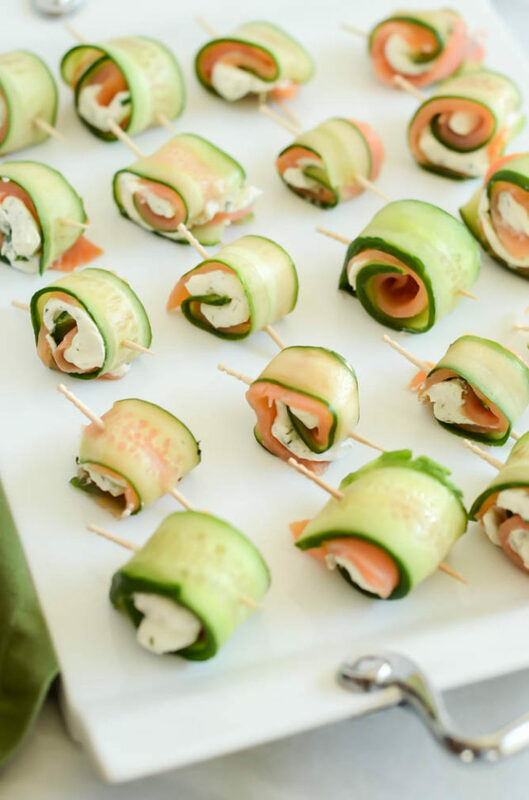 I LOVE smoked salmon, and it has been on my “To Do” list to make for quite some time now. Now that we’re back from our honeymoon and I’m settling a bit more into being self-employed and working from home, I figured it was finally time to man up and try my hand at making the darn thing! Small side note: Does anyone else find themselves with grand ambitions to try their hand at something new and somewhat challenging “someday”? I have to admit I’m so guilty of this, so I try to make a conscious effort to actually TRY these new things at some point because, you know what? Usually they’re wayyyyy easier to make than I ever imagined! 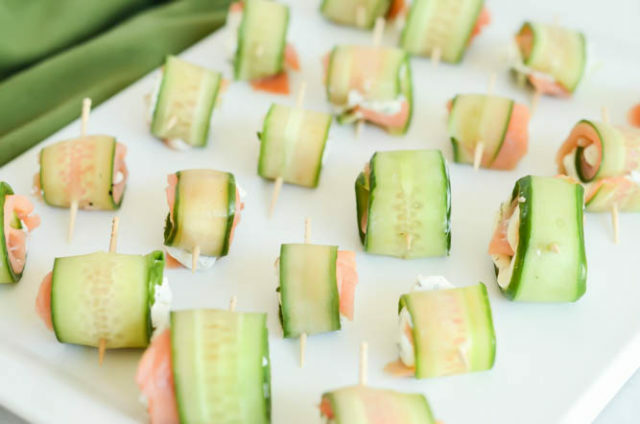 So, do yourself a favor and make yourself a “Cooking Projects for a Rainy Day” Pinterest board (yep, I have one, and you can follow it here) and start checking some things off your list. If I can do it, so can you. We’re going to conquer our kitchen fears and hesitations together! But back to my mission to make homemade smoked salmon and my final decision to make Whisky Gravlax instead. There was one small hiccup in my grand smoked salmon plans: This gal doesn’t own a smoker. Nope, CaliGirl Cooking has not ventured into that world yet (although my husband would probably love me even more if I did 😉 But was I going to let that stop me? No way, Jose. 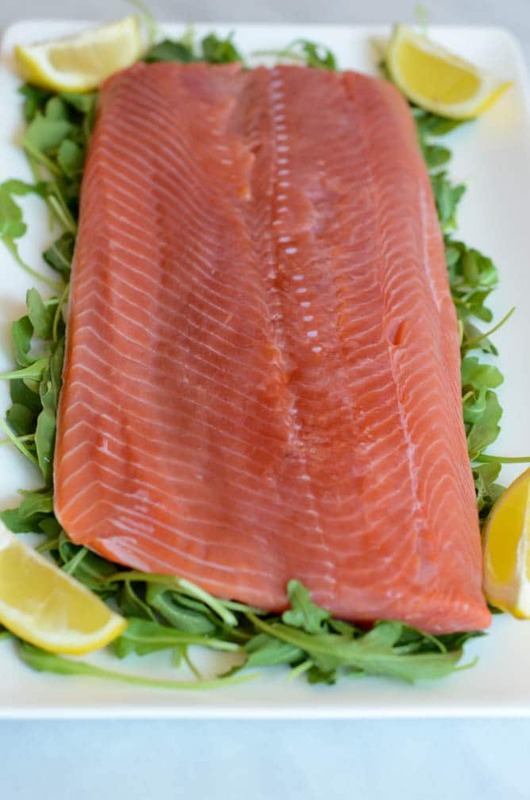 After further researching my non-smoker options on the web, I realized that what I really needed to be making in my particular situation was gravlax. It turns out, “gravlax” was traditionally buried (“grav” as in grave in the ground) under a bed of salt, sugar and herbs. 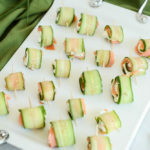 While I wouldn’t be burying my salmon in the ground, I could definitely handle packing it under layers and layers of a sugary-salty-herb mixture. So, I had the base to my gravlax recipe, but I was still anxious for at least a little bit of that “smoky” taste you get from real smoked salmon. I noticed that a lot of the classic gravlax recipes use a tiny amount of vodka, so in order to get my smoke on, I decided to snag some of the hubby’s super-smoky whisky (in this case I used Ardbeg 10-Year) and use that instead of the vodka. 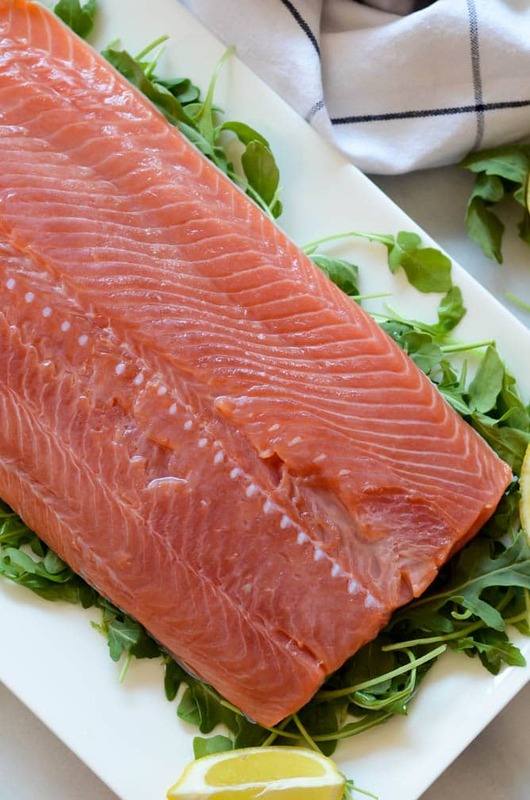 I can’t drink the darn stuff (it feels too much like I’ve just smoked an entire cigar) but I could certainly use it to flavor up my gravlax a little bit…Whisky Gravlax was born! Note to those of you out there anxious to try this recipe: Just put your saran-wrapped salmon filet in a shallow baking dish when you put it in the refrigerator and you’ll be golden. No messy whisky-smelling fish juice for you to clean up the next day. You’re welcome. I’m happy to report that my second attempt at homemade Whisky Gravlax was a success! And really not hard at all. Seriously. 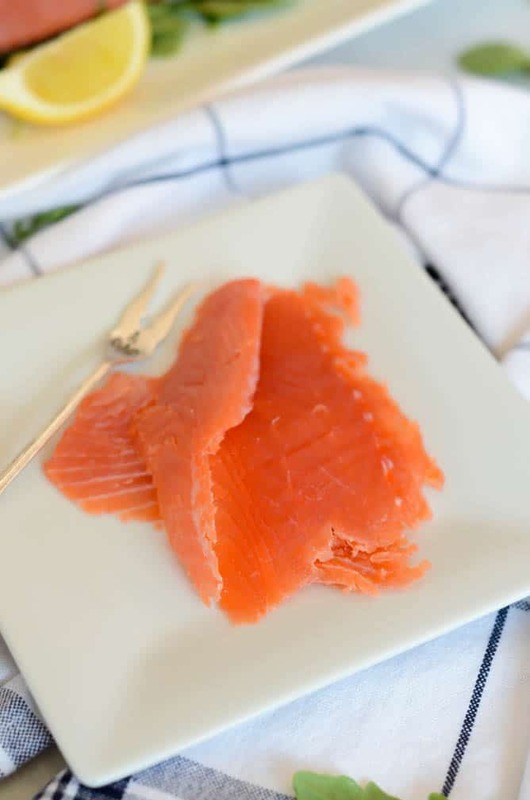 We’re talking less than 15 minutes of prep, set it and forget it overnight in the refrigerator, and the next morning you better run out and get fresh bagels and cream cheese because you’re GOING to want to dig into this Whisky Gravlax as soon as you pull it out and rinse off its sugar-salt-dill coating. 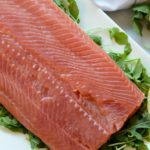 An easy recipe for cold cured salmon using the classic salt, sugar and herb mixture and smoky whisky as the secret ingredient. Place salmon filet skin side down on a large piece of plastic wrap. Drizzle whisky evenly over salmon filet. 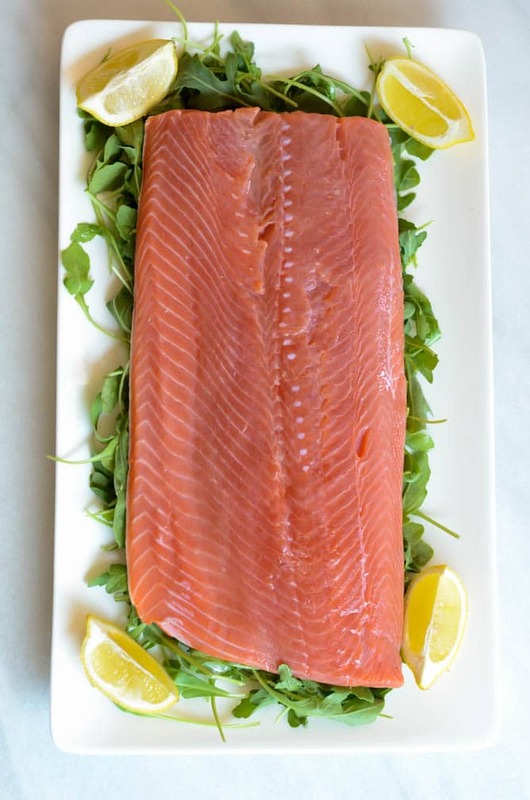 Wrap filet in plastic wrap and place in a shallow baking dish in the refrigerator for 24-36 hours. Remove filet from the refrigerator and rinse off the excess sugar-salt-dill mixture. Slice thinly to serve. 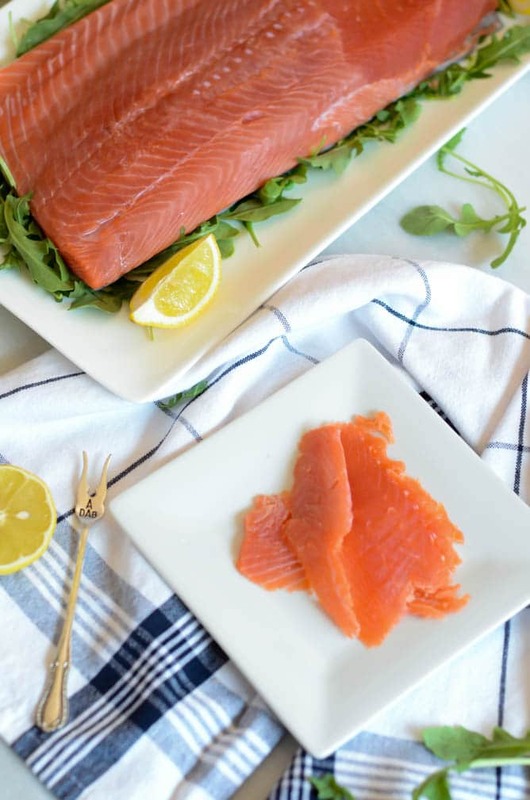 Wine Pairing Note: This Whisky Gravlax would pair perfectly with a lightly oaked chardonnay. The smoky flavor from the whisky will balance nicely with the soft buttery-ness of the oak, and salmon is a natural pairing for all chardonnay. 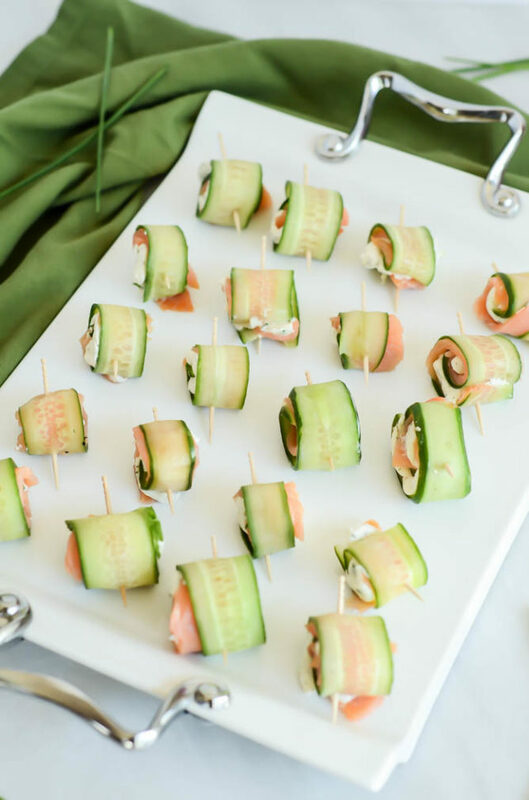 BUT, if you’re serving the smoked salmon for breakfast, there’s no better way to pair this dish than with a mimosa!